Discover Karaoke Sydney CBD Venues & Get Busy Singing! Karaoke Sydney CBD has a ridiculous number of places to sing but did you know that a SUPER-REDICULOUS number of Sydneysiders really enjoy the activity immensely? What are you waiting for? It's time to get singing! You'll seriously shine in the karaoke Sydney city spotlight at one of the many fab Sydney CBD karaoke venues! That’s right— the strobing glittery musical singsong spotlight is on YOU! You can sing every single night of the week in Sydney CBD. It all starts on Monday nights at O’Malleys in Kingcross which also has cheap drink specials! 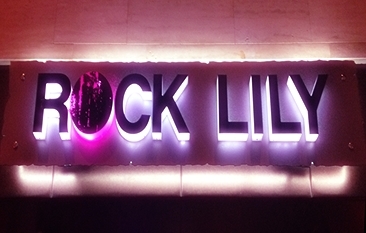 You can also unleash your inner diva on Tuesday nights at The Star Hotel - Rock Lily's Karaoke. And then on Thursdays head over to Unity Hall Hotel in Balmain. Wicked! There's even more karaoke Sydney city entertainment for the genuine enthusiast! Check out the Orient Hotel; a favourite watering hole amongst Sydneysiders that’s been a landmark in the historic Rocks region since 1844. This classic joint serves tasty Aussie cuisine, plenty of cold beer, has super friendly staff and of-course those infamous Orient spectacular karaoke parties every Friday & Saturday night! Come on down! The Rocks is seriously rocking! Next stop is Covent Garden Hotel, Haymarket. It’s another awesome Sydney CBD karaoke pub where you can sing on—Thursday, Friday, Saturday and Sunday nights! Bonus! Offering plenty of fab song choices including old-time classic favourites, rock and plenty of contemporary songs. Don’t be shy. There’s no better time that N.O.W. to grab a mic, hit the stage and sing, sing, sing! Want even more karaoke Sydney city fun? Head on through an unobtrusive doorway in Dixon Mall, Chinatown and jump on board the elevator to be transported to an entire other world! Its Shanghai meets sci-fi future funk complete with lots of glass, mirrors, screens and jade statues. Welcome to Dynasty Karaoke in Haymarket. And best of all, you can stay and sing till 4am Monday through Sunday!